AUSTIN, TX—January 24, 2019—T3, the Austin-based innovation agency, this week launched a new digital experience for Genghis Grill, a Mongolian Concepts restaurant brand. T3 redesigned the brand’s website and technology stack from the ground up to deliver a better brand experience and drive online ordering. T3 leveraged its extensive restaurant and digital expertise to design a flexible, mobile-first online ordering and loyalty experience to support the company’s Genghis Grill brand. T3 is known for its digital transformation in the restaurant space, driving more than $2 billion in sales for its restaurant clients including Pizza Hut, Le Pain Quotidien, Auntie Anne’s, Moe’s Southwest Grill and more. Enabling the quick and easy customization of Genghis’ Signature Bowls with their 80+ ingredients was a point of emphasis. T3 designed an intuitive process to “Create Your Own” bowl, making it easy for customers to mix the meats, vegetables, spices, and sauces they want. The website and ordering process also seamlessly integrates into the Genghis Rewards loyalty program, letting customers earn rewards to redeem free or discounted items. These updates required a new technology stack, integration with industry-leading partners including Olo and Punchh, the creation of a flexible content management system (CMS) and the incorporation of T3’s proprietary Product Enrichment console, which allows for richer information and imagery to be displayed throughout the menu. 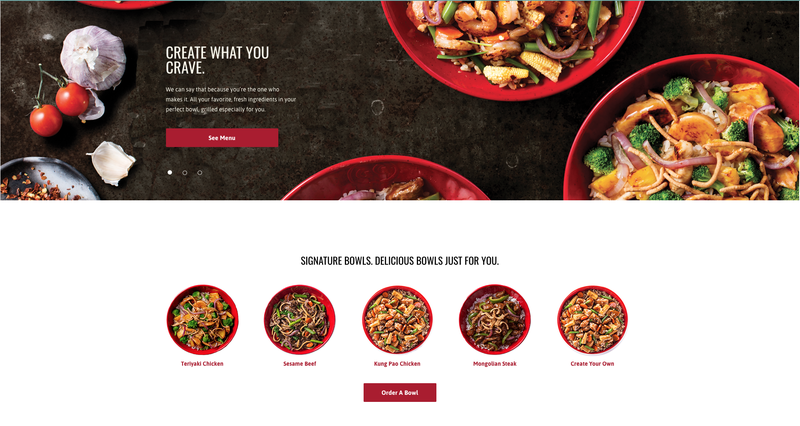 These technology improvements, coupled with a refreshed visual design system, position the new Genghis Grill website to exceed customers’ expectations with an effortless ordering process. Mongolian Concepts is the leading build-your-own stir-fry restaurant group owning and franchising over 90 Genghis Grill, Flat Top Grill and bd’s Mongolian Grill restaurants. Founded in 1998, Genghis Grill is renowned for its fresh, hot and healthy food, and its interactive dining experience. At Genghis Grill, guests can forge their flavor by creating a bowl filled with exactly what they are craving from over 80 fresh ingredients and flavorful sauces. For more information, visit genghisgrill.com.